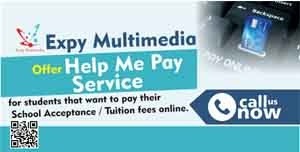 Share Expy Multimedia: WAEC Nov / Dec GCE Registration 2016 Commences. How to apply. WAEC Nov / Dec GCE Registration 2016 Commences. How to apply. WAEC Gce registration details has been announced. 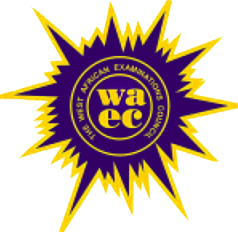 The West African Examination Council (WAEC) has opened the online registration portal for the 2016 November / December General Certificate Examination (GCE) application. 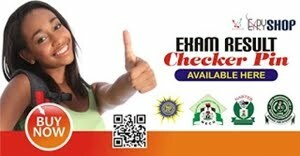 Interested candidates are to purchase the Waec Gce registration scratch cards at the cost of N12,250 (N00,000 for late registration) from any First Bank branch, NIPOST, Cyber Cafes nationwide or buy online @ Expy Shop. Visit the online application portal at http://registration.waecdirect.org/ to complete registration. Ensure you have captured your biometric fingerprints, scanned your passport and captured other personal details before you submit registration. After submission of your registration form, print the admission notice / photo card. Candidates are to start their Registration by enrolling their fingerprints and capturing other personal details using the Biometric Data Capture software. Ensure your Surname, First name and other names are captured using the software. You are required to upload your scanned passport size photograph with a white background. The photograph must be a recent one and must be in Joint Portable Exchange (jpg) format. Note that the photograph you upload will be printed on your photocard and certificate. The dimension of the passport must be exactly 275 X 314 pixels. The photograph must not be more than 15 kilobytes and not less than 7 kilobytes in size. Once you have completed the registration form, you are required to click the ACCEPT button after which a preview of your details will be displayed. You are required to review your application at this stage and click the EDIT button if you desire to make any modification. You should click the SAVE button if you want to save your application and still be able to come back and modify it. Note that you can only modify up to 3 times. Click the SUBMIT button if you want to submit your application. NOTE that you will no longer be able to modify your application once you click the SUBMIT button. The WAEC GCE registration ends on Friday, 29th July, 2016.